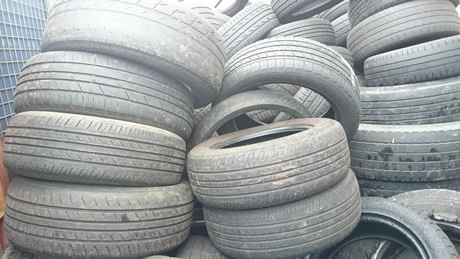 All our removed tyres are disposed of in the most environmental friendly way possible. We use Sappire, who manufacture cement, and have a world leading solution for the end of life tyres. 2 industrial staples are inserted through each tyres sidewall and then transported to the factory. The scrap casings are then fired in a furnace at temperatures in excess of 800 degrees centigrade so every single part of the casing is consumed with zero residual waste. The kilns are filtered so there is no black smoke or harmful noxious odours . Concrete, the principal product made from cement, is the second most consumed substance in the world after water. Please click here to download a copy of our certificate.